bongbong Apr 17 2019 12:49 am why just me thought if sunho it has similarity with sunwoo The boyz? their name and their face, just in my opinion. Good Going Man Apr 12 2019 8:56 pm I still remember his romancing with the actress on Goblin OST in Good Manager. He has come a long way. Good for him. From second lead to main lead in Catch Yoo Ryung that too with a famous actress. Putri tiani Apr 06 2019 7:23 am Oppa... Oppa.. Oppa ? Yona Mar 31 2019 12:16 am Despite her role in 100 Days My Prince. I can't stop looking at her face. I also like the chemistry between her and Jae-Young/Moo Yeon. She's a real charm. And he really looks like Song Hye-Kyo. Chrystivani Mar 28 2019 1:50 am His looking, remind me of Jang Geun Seok..
Aipu Mar 26 2019 8:02 am He's so charming I'm going to marry him. Nuna Mar 26 2019 7:02 am He is so handsome? OLALA Dec 16 2018 11:46 am OKE sooo first he’s really handsome and he’s good at acting i saw his movie the “you drive me crazy” and wawww i mean like he’s just so great at acting and actually i first know him from 100 days husband and i think he was so great and it suits him?? ?i really hope that he would play more dramas and be the main role? Janelle Ong Nov 09 2018 6:56 am I love his soothing voice when speaking! First saw him on 100 Days My Prince! Fighting KSH! Lou Nov 08 2018 9:49 am Possible lead role for Waikiki Season 2???? I'm so excited for it!!! Eme alh Oct 22 2018 9:59 am he reminds a lot of jung il woo! Starrynight Jul 17 2018 5:37 am Today I watched "you drive me crazy" and that mini drama just melt my heart.. I have that fluttering feeling in my heart throughout the drama. I'm in love with you kim sun ho oppa?? ?..must watch for every romance loving person. you will never regret..
Joy Jul 06 2018 9:38 pm He's also in Your House Helper, right? He's again partnered with the girl who was his love interest in Strongest Deliveryman. I'm not sure if it's just a cameo, though (saw him in Ep 3 or 4). Twin Jun 30 2018 7:35 am In my opinion, he look alike Park Soe Joon main lead for Fight For My Way. Vivian May 30 2018 6:47 am Just noted this cute guy...his dimple and acting touched me to tears...really a gem!! Hope to see more of his works. 7hearts May 09 2018 1:47 pm I swear to god if this man doesn't get more male lead roles I will sue the K-drama industry!!! He's so talented!!! saranghae May 09 2018 12:00 pm More lead role please. His acting is great especially when his dimples shows. exyall May 07 2018 11:00 pm You are so adorable and handsome in You drive me crazy!! myxblush May 07 2018 10:42 pm You drive me crazy! He’s so adorb! His dimples! ixx_dh81 Mar 02 2018 12:00 am @safae He started acting since 2009. But he started as stage actor. Can't wait for May!!! He's casted for MBC drama special along with Lee Yoo Young. Yeaaaaa.. First lead role for him!!!! reg Feb 18 2018 1:16 am Hope to see him in a lead role. Hyejiniie Feb 08 2018 11:48 pm His smile is truly amazing. It just adds so much more to his good looks. I hope to see him in upcoming dramas! Editha malones Feb 01 2018 7:07 pm annyeong oppa, I'm still hoping that you will read this. I just want to say that you're such a good actor and you deserve to have more awards! The moment I first saw your appearance in two cops, I fell in love with you. This may be cheesy but saranghae! I will be your fan! Guglis Jan 19 2018 11:04 am Omoya.... First time i saw him act in two cops, i even don't look at JJS but turn myself falling for the sweet dimples KSH.. He is just so nice, just look at his smile, im falling over. Please make him take the lead role later and make sure the female lead role is Jin Se Yeon or Lee Se Young because i think he will more suitable with those actress.. He is just so cute with dimples!!! Setiram Jan 17 2018 8:46 am I love you oppa! More projects please. Hugs and kisses ??? Sam Jan 06 2018 11:33 am He is too CUTE with his dimples? Maninder Jan 05 2018 1:17 pm I know one thing... he doesn't resemble anyone.. nor from his right side and neither from his left side... He is ONLY one Kim Sun Ho shi... the most adorable heart warming, dimple smile oppa. ixxdhx Jan 03 2018 2:47 am He is not a novice actor. He is debut in 2009 as a stage actor. And 2017 is the year of his tv debut. He first acted as Seon Sangtae (Chief Kim) then got 2nd leading role as Oh Jin Kyu (Strongest Deliveryman). Wish to see you more on tv or big screen.. Ah.. I hope you also can play at musical as you wish!! Shubha_indo Dec 30 2017 11:40 am Congratulations for awards u received. I hope will see more good dramas in future. Meme Dec 29 2017 6:58 am The cutest actor who's 30 years old I hardly find anyone that age cute but you sun ho I'm in aw ???? Xhalen Dec 28 2017 1:31 am How can you be so cute? T^T Reminds me of Golden Child's maknae, Choi Bomin.. Hope to see you in more dramas! KDramawatcher Dec 17 2017 9:38 pm Kim Sun Ho has so much charisma! He seems like a very charming person and his acting is very unique. I like him with the second female lead in strongest deliveryman and his acting in two cops. I’m looking forward to seeing him star in more kdramas in the future! sanjinyeon Dec 05 2017 11:05 am your really evolving to a good actor in every character you play. Tara Dec 04 2017 5:52 pm I've been following you for a while know and really loved your work in Strongest Delivery Man. Your comedic timing is spot on in Two Cops. Loving the bromance that is building here. Looking forward to more of this drama and your future projects! kocul Dec 02 2017 11:36 am oppa i watch two cops because you're there. but why you must act like a ghost. maria Nov 30 2017 8:42 pm First I've watched Chief Kim, but I don't recognize him. Maybe it's becoz his role in this drama not much appear. And than i watched Strongest deliveryman. Honestly my "second lead male syndrom" is back hahahaha I fallin in love with him. First I thought he looks like Oh Sehun (EXO) in several angle. And his dimples are so eye catching ㅋㅋㅋㅋㅋㅋㅋ. And now He play in drama Two Cops With My Ahjeossi Cho Jung Seok OMG!!!! I love both of them. Fighting For Your new drama Oppa!!!! Friez Nov 28 2017 8:15 am Really love his acting, he's so cute... waiting for the male lead role. Good luck and hwaiting!!! Kimmy Nov 27 2017 10:48 am One of the best new actors! My God! Those dimples! amber treasure Oct 18 2017 5:23 am I love you! Your acting was so great. Indeed, looking forward to all your dramas and maybe movies, soon! nesa Oct 04 2017 7:58 am love him so much, handsome oppa, and hes super charming hope he got a leadrole soon. Gina Sep 27 2017 9:01 pm Superior acting he made me happy he made me cry for the first time this year. Brilliant I believe he will become a leading male in drama for a long time to com. I would prefer him in rom coms but feel he could alo excel in action, fantasy, spy dramas as long as he is the good guy I'd watch him forever. Loved his work. He's a real hunk and very manly. Whatever he has been doing is sure paying off. K Sep 18 2017 1:48 pm 'Makes me want to smile too'.. I'm rooting for more dramas and movies that you'll do soon. I'm one of your fan..Keep laughing and smiling as you make others feel happy too.. Please give him more projects.. Male lead.. pray pray pray..
Sujihyoo88wood_scorpio Sep 14 2017 4:18 am Maigaddddd I fell in love with Kim Sun Ho, and I was try look another drama that might he involved, it was only in chief Kim the nerd boy. Hope more drama from him and he as a main character. I like the way he smile, I am MELT with his dimples...!!!! sAz Sep 14 2017 2:32 am Ermm.. Or maybe Jung Il Woo+Jang Geun Suk? Grace Sep 13 2017 12:19 pm I am watching episode 1 of SD and I knew he was familiar that I have to search him because the moment he appeared, I found him so charming LOL. He is the nerdy guy from Chief Kim OMG. I have a new fave actor. ken Sep 13 2017 12:16 am Am I the only one sees Jung Il-Woo on him? Shirley Sep 08 2017 10:58 am I was watching Strongest Delivery man and realized this guy was the nerdy guy in the maknae in the biz op department in Chief Kim!!!! ??? what a stark difference! haha. good difference! rizky Sep 03 2017 10:09 am love his dimple, act, smile n this film more interested because of this new oppa???? Elena Aug 30 2017 2:12 pm His take on Strongest Deliveryman blown my mind. He really is a magnificent actor and I don't just like his role due o the script. Hope he will do manny more dramas in the future. Ellen Aug 30 2017 12:53 pm Great actor. His character, Sun Sang Tae, in Chief Kim was so cute. He is so good in Strongest Deliveryman that he is stealing all the scenes. Cannot wait to see him in another drama/movie. Kim Handa Aug 26 2017 10:49 pm I like him so much. He has nice smile and so cute . ?? maha Aug 20 2017 9:16 pm love him love him loooooooove him _< I'm watching "'Strongest Deliveryman"' because of him ~_~ he look so cool *_* oppa why you look handsome like that T.T my new oppa =_="
donahmeee Aug 20 2017 3:35 pm We all love you after watching STrongest DM. I like your cute dimple and your character in SDM. A really bad boy yet likeable and cute as well.. Im a fan of yours now.!!!. Ive been here searching for your other dramas but still you have two dramas yet.. Looking forwRd for your another dramas to come...Fighting Kim Sun Ho! donahmeee Aug 20 2017 3:33 pm Were all love you after watching STrongest DM. I like your cute dimple and your character in SDM. A really bad boy yet likeable and cute as well.. Im a fan of yours now.!!!. Ive been here searching for your other dramas but still you have two dramas yet.. Looking for your another dramas to come...Fighting Kim Sun Ho! ghaidalin Aug 19 2017 4:10 am you are so cool in strongest delivery man, i happened to forget that you were in chief kim you were so cute and funny. such a very different character but still make me falling in love. im your fan now! Nabyla claire Aug 19 2017 12:22 am Omg...he u soooooo cute... Im a your new fan...??? Kaijong Aug 18 2017 7:42 pm His smile is life?? Audi Aug 15 2017 5:16 am I'm officially a new fan of yours! You performed great acting in SD; that's undeniable. Looking forward to seeing you as main lead in more dramas. Please only choose drama with good plot!! Shae Aug 12 2017 5:30 pm OMG where have u been before!!?!?! Ure so talented! Deserve to get more lead roles after this!!!! Now i officialy become one of your fan oppa~~~~ 화이팅!!! Riri Aug 12 2017 8:32 am Cant believe he was on Chief Kim with glasses. HEOL WANGJON DAEBAK? kinainngsistema Aug 11 2017 8:26 pm His portrayal of Oh Jin-Gyu reminded me a bit of the 2nd lead man Seo Yool (played by 2PM's Junho) in the drama Chief Kim. 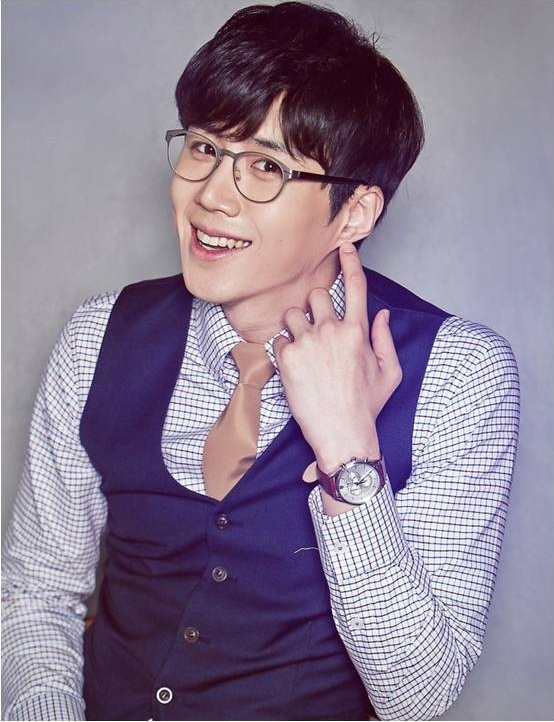 I got curious about the actor, googled him and to my surprise, Kim Sun Ho was the nerdy one in the Chief Kim's team. I totally didn't recognized him haha. That killer smile will go a long way for him. Keep up the good work! Fighting! Leimii Aug 06 2017 5:14 pm Seriously u are the best second lead actor ever in kdrama I Hv watched so far... Really loved his acting and what do I do with dimples.. That quirky smile with dimple. Oh my you are truly the finest one ever... More episodes to go. ?? Nor Aug 05 2017 11:13 pm Woaaah! I thought he was already a veteran or something.. his acting in "Strong Deliveryman' is no joke. Oppa you're very charming already and its just episode 2!!! seonhohadateam Jul 06 2017 2:10 am Finally his profile is updated. Thanks asianwiki!! ImInLoveWithJungHoseok Jun 30 2017 9:58 pm Kim Sun Ho oppa, I watched you at Chief Kim and when I first saw you, all I could think of was "He's so cute." Hahaha I like the part where you first had encountered Lim Hwa Young hahaha I just like your innocent act hehehe more dramas to come! I'll wait for it! Hwaiting!